Thabang Nkgweng, Author at SABC News - Breaking news, special reports, world, business, sport coverage of all South African current events. Africa's news leader. 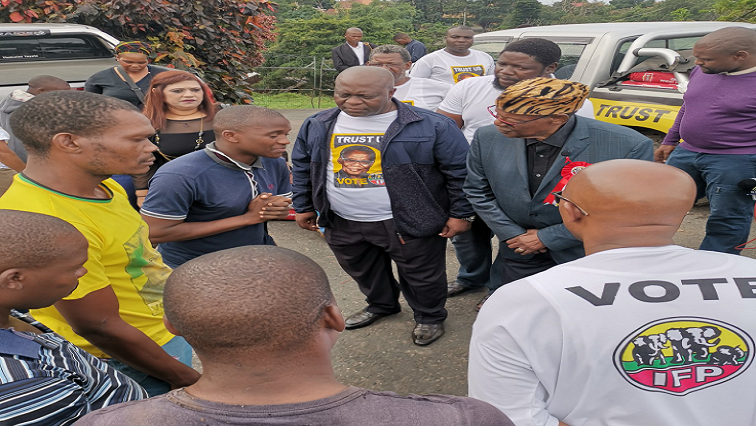 IFP leader Inkosi Mangosuthu Buthelezi took few hours from his election campaign schedule to visit flood victims in Reservoir Hills, north of Durban. Siyabonga Zulu, his pregnant girlfriend and their four-year-old daughter perished when their shack was swept away by a mudslide. It’s believed the family was asleep at the time. Buthelezi said he was saddened by the devastation. The IFP leader then went back on his election campaign. He stopped the Bridge City Mall encouraged party supporters to vote on 8 May. [MEDIA ADVISORY] Tomorrow, Wednesday 24 April 2019, IFP President Prince Mangosuthu Buthelezi MP, will visit victims of KwaZulu-Natal’s devastating floods at 11am. 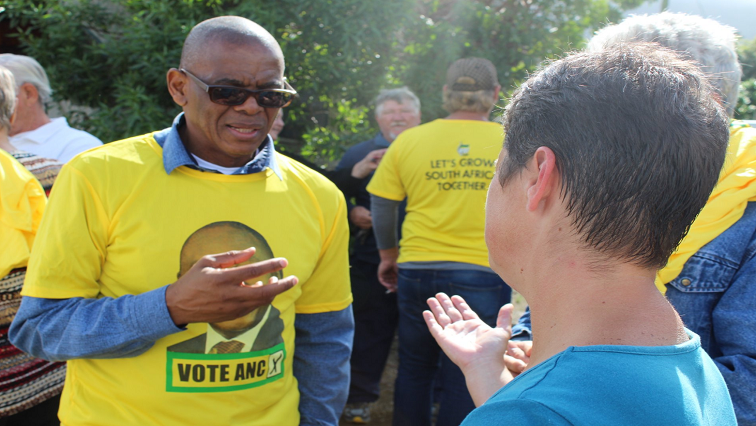 ANC Secretary General Ace Magashule has vowed to stop the eviction of a white community in Hermanus in the Western Cape. The community of Paradise Park faces an eviction by a private developer who has bought the land on which they live. Their eviction court case will be heard in the Western Cape High Court on 6 of May. While on a campaign trail in that area, the ANC entourage faced hurdle. When they arrived in Paradise Park, a private security company insisted that only a dozen people can enter the premises, but the crowd wouldn’t accept that. A resident and ANC supporters forced the gate open. The looming eviction of dozens of residents at Paradise Park, who must make way for a private development, came under the spotlight. Magashule says this is one of the reasons why the ANC is emphasising land expropriation. Chippa are lying precariously on the log on the 14th spot with 24 points from 27 matches. They have won five matches, drawn nine and lost 13 matches. Larsen is confident Mpengesi will not fire him. 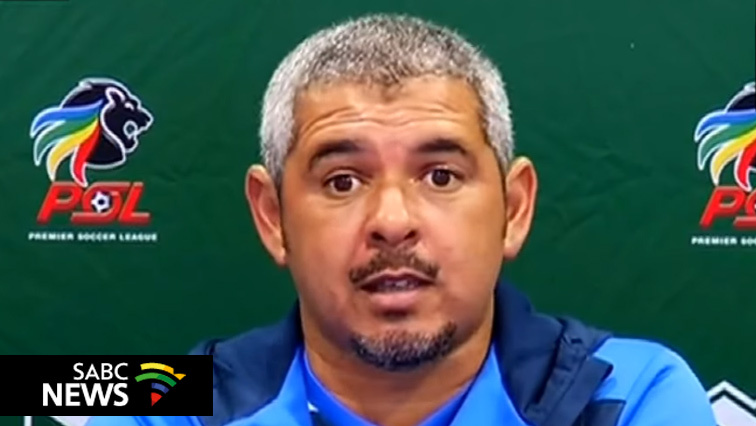 Larsen became the fourth coach for Chippa this season after he replaced Joel Masutha. Masutha came in for Eric Tinkler after Dan Malesela was fired early in the season. Larsen says he is not under pressure despite the precarious position on the log. Chippa narrowly lost 3-2 to Mamelodi Sundowns in the Absa Premiership match on Tuesday. Before then, they were knocked out of the Nedbank Cup 4-2 by Kaizer Chiefs on Saturday. Larsen says they at least deserved a point against Sundowns. Larsen was not entirely happy with the officiating against the current league champions Sundowns. He felt that they should have been awarded at least two penalties. Chippa have conceded 32 goals this season, which is one of the worst defences in the league. They have also scored 23 goals, which is one of the lowest. They will take on Cape Town City in a must win match on Friday. Larsen is concerned about a shaky defence. Huawei, the world’s biggest producer of telecoms equipment, is under intense scrutiny after the US told allies not to use its technology because of fears it could be a vehicle for Chinese spying. Huawei has categorically denied this. Britain’s National Security Council, chaired by Prime Minister Theresa May, met to discuss Huawei on Tuesday. 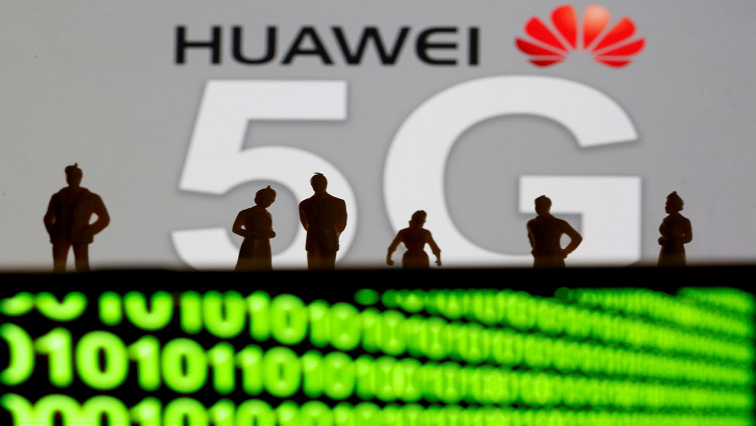 Britain will block Huawei from all core parts of the 5G network and access to non-core parts would be restricted, two security sources told Reuters on condition of anonymity. “It’s essential that we get the balance right, ensuring that our networks are built in a way that is secure against interference from whatever source, but also are competitive,“ said Britain’s Finance Minister, Philip Hammond. The Daily Telegraph newspaper first reported the decision. 5G, which will offer much faster data speeds and become the foundation stone of many industries and networks, is seen as one of the biggest innovations since the birth of the internet itself a generation ago. In what some have compared to the Cold War arms race, the US is worried 5G dominance would give a competitor such as China an advantage Washington is not ready to accept. European nations are treading a fine line in the dispute between the world’s two most powerful countries, under pressure from the US to take a hard line on Huawei but also anxious not to sour trading and diplomatic relations with China. Huawei welcomed London’s move, though ministers cautioned that a final decision may not have been made. Britain’s compromise could provide a template for other Western nations to follow as they try to navigate the row between Beijing and Washington. The world’s leading intelligence-sharing network – the, Anglophone Five Eyes, alliance of the US, Britain, Australia, Canada and New Zealand; will not use technology from Huawei in its most sensitive networks, a US official said. “What I see playing out here is a discussion amongst all of us about the realities of where do you define sensitive networks, where does that start and end,” said Rob Joyce, a senior official from the US National Security Agency. For Britain’s spy masters, the riddle of Huawei is only a part of the wider challenge of securing 5G networks and what they see as the much more fundamental threat from China’s dominance in certain globalised technologies of the future. Ciaran Martin, head of the cyber centre of Britain’s main eavesdropping agency, GCHQ, played down any threat of a rift in the Five Eyes alliance and said any decision on Huawei had to take into account Britain’s international trading posture. “I welcome the debate is beginning to inch into wider territory about general standards of security required for 5G to protect us and our allies from any attack,” said Martin, head of the National Cyber Security Centre (NCSC). Huawei, founded in 1987 by a former engineer in China’s People’s Liberation Army, denies it is spying for Beijing, says it complies with the law and that the US is trying to smear it because Western companies are falling behind. Huawei’s equipment is either not present or is being stripped out of existing core networks in Britain, but is widely used in lower risk parts such as radio masts. The telecoms equipment market is dominated by three suppliers; Huawei, Sweden’s Ericsson and Finland’s Nokia, and network operators oppose any move that would limit competition among them. Companies such as Samsung, Cisco and China’s ZTE are also targeting parts of the 5G equipment sector. The world’s second largest mobile company, Vodafone, has warned a complete ban would significantly extend the cost and time to deploy 5G. What Britain is trying to do is keep Huawei’s technology away from the brain of the network while using it in the less sensitive parts of the nervous system, but lawmaker Tom Tugendhat, the chairperson of Britain’s Foreign Affairs Committee, said allowing Huawei to remain in the 5G network would undermine trust between Five Eye allies. “Our most important security alliance is the Five Eyes intelligence sharing network. The problem with therefore having Huawei running our infrastructure is that it undermines that trust,” Tugendhat said. Tugendhat said it was difficult to define core and non-core with 5G and that the Chinese company should not be allowed to build Britain’s 5G network. One of the biggest changes between 4G and 5G is the ability to take the advanced computing power usually kept in the protected “core” of a network and distribute it to other parts of the system. This will provide more reliable high-speed connections. But it also means engineers will no longer be able to clearly ring-fence the most sensitive parts of the system, US officials say. Chris Watson, head of the technology, media and communications group at law firm CMS, said it was not clear how 5G technology would develop, and more data processing could move to the network edge, blurring the line between the core and periphery. “It’s not yet clear quite what 5G networks are going to consist of and therefore, where the real processing power and communications links are going to be located,” he said. There’s at least one place in the whole of South Africa that’s missing out on the election fever. Not a single election poster can be found in Umjindi Trust in Barberton, Mpumalanga. The rural community is also out of reach when it comes to basic services. Umjindi Trust has no school, clinic, roads or running water. It takes resident, Anna Mbela, two hours to walk to the nearest clinic. 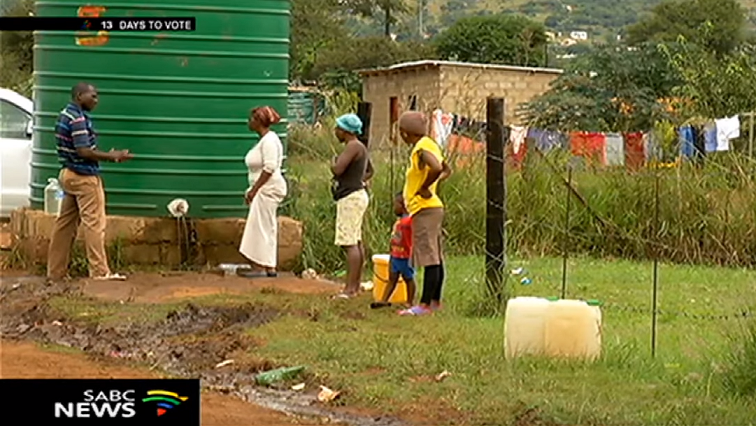 Residents say there is no regular delivery of water at the communal water tank and when it is delivered, it’s hardly good enough for human consumption. With just two weeks to the election, there’s little sign or excitement here. Residents say no political parties have come to them and convince them to go to the polls. Resident, Thulani Bhembe, says there are no employment opportunities in the village and many turn to illegal mining and crime. Despite lack of service delivery or attention from political parties ahead of the elections, residents are optimistic their votes will bring change.